Discover the mystical & magical land of Bhutan, a place well known for it's rich Buddhist culture, history and stunning scenery. 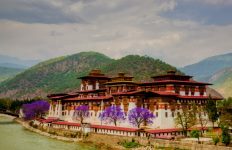 Whether you are enjoying the fascinating hikes in the Himalaya, visit the numerous monasteries and spiritual temples or attain one of many colourful festivals, Bhutan may just be one of the most rewarding destinations in the world to visit. 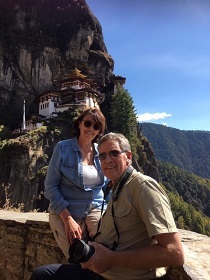 All our Bhutan tours will bring you the destination as close as possible. 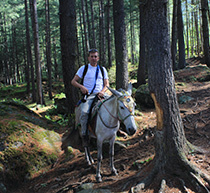 We offer private tours with English speaking local guides, private transfers and handpicked accommodations. 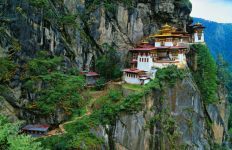 Whether you want visit the highlights of Bhutan or looking for an in depth experience, our travel experts tailor made the right holiday package for you. 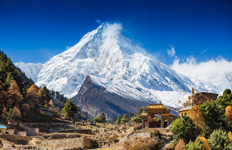 This trip is the perfect add on for those travelling to Nepal or India. Visit the must see attractions and feel the special energy and vibe of the country of happiness. 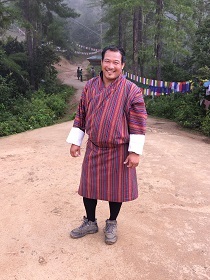 A visit to Bhutan is an unique experience! The country of happiness will enlighten you with its beauty, charm and majestic. On this 7-day itinerary you will visit the famous Tiger’s Nest and much more! Discover Bhutan’s untouched beauty in comfort and style. Trek to the ‘Tiger’s Nest’ Monastery, see Mount Chomolhari by helicopter and play golf against the backdrop of the Himalayas. You don’t want to travel alone? Experience the mysterious mountain kingdom of Bhutan in a group of max. 12 people. 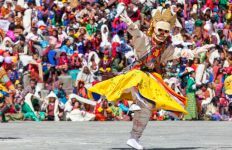 Immerse yourself in the unforgettable atmosphere of Bhutan during festival time on these carefully designed cultural journeys. This unique blend of culture and hiking includes 2 days in ancient Kathmandu, sightseeing in Thimphu and Paro and a trek adventure through the beautiful Bumthang Valley. Discover the highlights of Nepal and Bhutan in comfort, and encounter remote nomad settlements and ancient hillside monasteries as you hike towards Chomolhari on one of Bhutan’s most loved treks.